Advantage Distributing and Lubricants has a full line of filters, oils, lubricants, greases, and specialty materials to meet the high and ever evolving demands of new and late model machinery. We will work with you to create a preventative maintenance system to help you reduce operational costs and maximize equipment productivity whether you are a large corporation, a cooperative, or an individual owner. 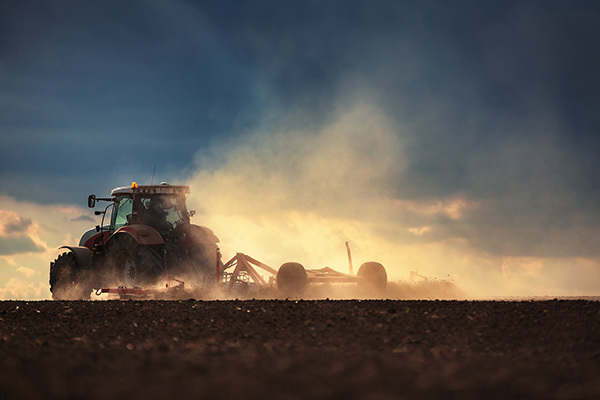 Agriculture equipment face a variety of harsh and extreme conditions from high temperatures, heavy loads, and harsh environmental conditions. Our specially formulated lubricants, oils and greases have the most advanced and rigorously tested additive systems to deliver unsurpassed protection and performance. SERVICING THE ENTIRE AGRICULTURE SUPPLY CHAIN. From the field to the commercial production plants, we recognize that a comprehensive solution is needed for each stage of the agriculture supply chain. Our products ensure the highest uptime of all your equipment needs including lubricants not only for tractors, combines, trucks and trailers but also for compressors, pumps, conveyors specialty equipment, and production equipment.